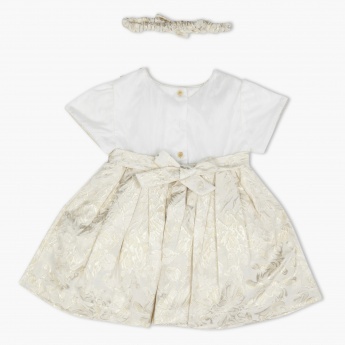 Bring a shade of joy to your child's day with this short-sleeved party dress. It comes with an all over floral print and pleated waist with tie-up ribbon. 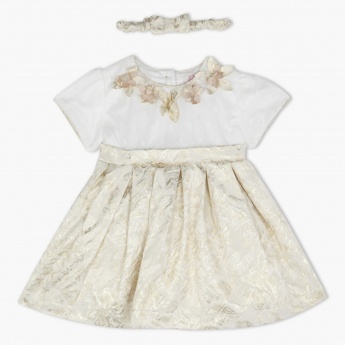 Featuring round neck with floral applique, this trendy dress comes with matching headband.